We advise you to keep your rigs simple. Our recommendation would be that you use a minimum of 2.5oz weights. 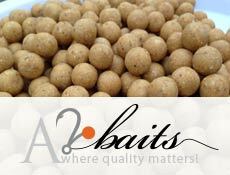 For the safety of our fish, we operate a compulsory barbless hook policy, size 8’s and 6’s are recommended. In our experience, the use of back leads are not recommended. The larger catches have come from anglers that bait little and often rather than large beds of bait. Consider 6FT Zig rig (Highly successful day or night). Good watercraft is to be observant and look for signs of feeding/bubbling fish to cast to. The fish move around constantly, be prepared to move to another swim as conditions change. Poisson chat exist in our lakes, we recommend that you bring bait mesh and use coated braid to prevent and nuisance fish. We would advise you considered bringing rig foam, as this helps protect the hook when casting.